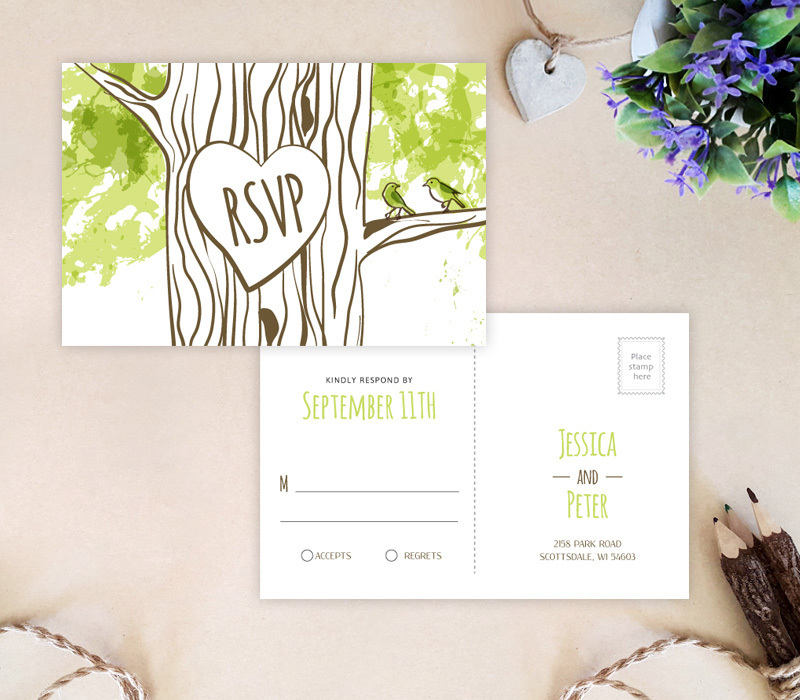 Your upcoming outdoor ceremony is the perfect match for our Rustic Country Wedding Invitations! 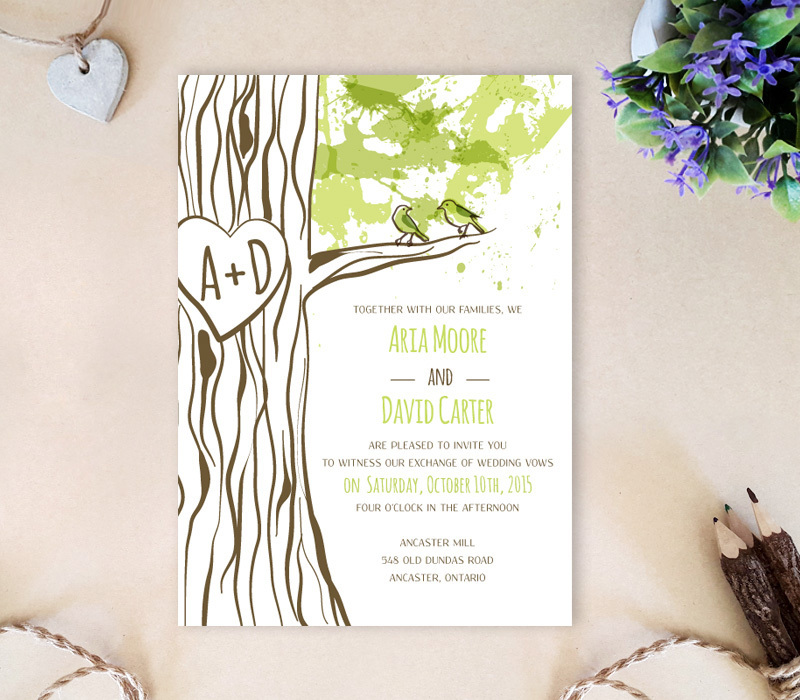 Inspired by the beauty of nature, our cards will share your wedding news and feature a heart engraved tree with watercolor leaves along with two love birds for a sweet finish. 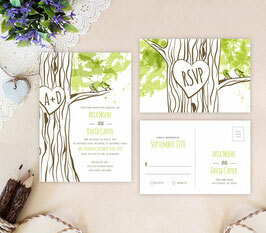 All of our Wedding Invitations are printed on premium white card stock.